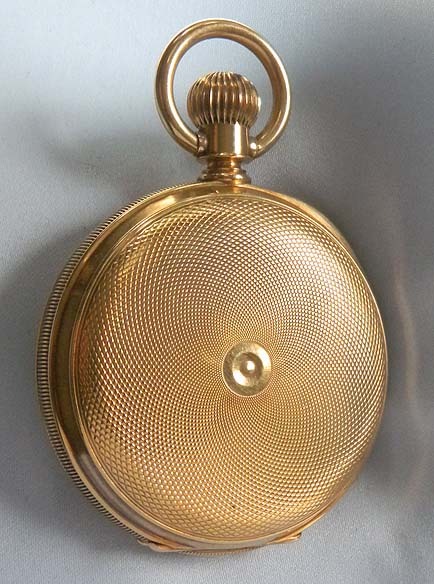 Fine Swiss 18K gold jumping quarter second split second chronograph with return to zero by Emmison, Locke, circa 1875. 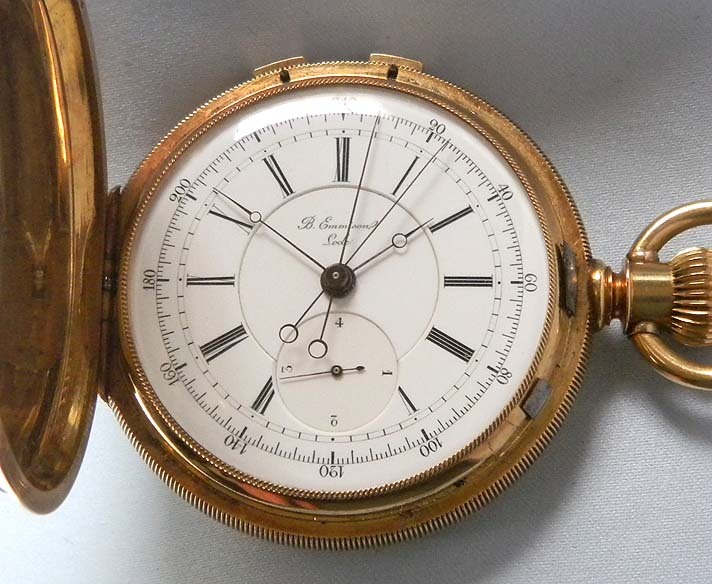 Fine white enamel dial with black markings and blued steel Breguet hands. 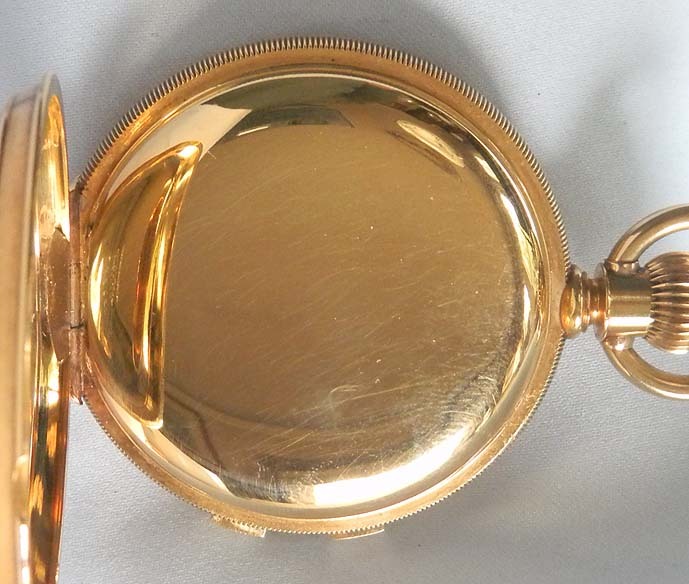 Heavy case in particularly fine condition with the crown and engine turning still sharp. 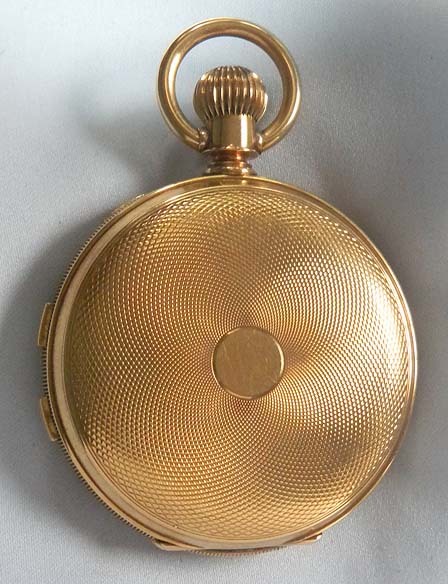 Gold dust cover in addition to glazed observation cover. Chronograph buttons in the coin milled band. 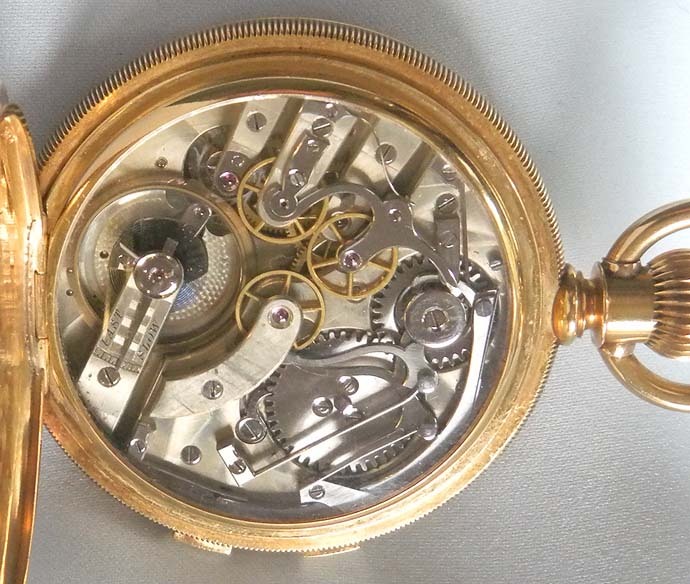 Fine nickel movement with approximately 23 jewels. 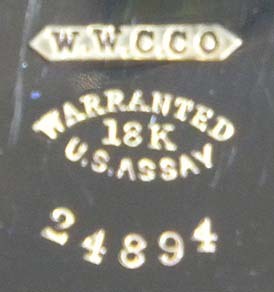 This watch can time two separate events. When one button is depressed the chronograph starts. When the other button is depressed the chronograph hand splits and one of the hands stops. The other hand continues until the first button is pushed. A final push returns the hand to zero. This watch is actuate to 1/4 of a second, and when the chronograph is running the subsidiary hand jumps very quickly making one revolution per second. This makes it easier to tell the time to the correct fraction of a second. This watch represents the final and highest development of the chronograph mechanism.